Wondering what the Walking Liberty half dollar value is today? A lot of coin collectors ask me what their Walking Liberty half dollars are worth. And why not? They’re among the most beautiful silver coins the United States has ever produced — so surely they’re worth a lot of money, right? So what are these silver half dollars worth? Are any of them rare? What’s The Current Value Of A Liberty Half Dollar? So, let’s say silver is worth $17.31 per ounce. 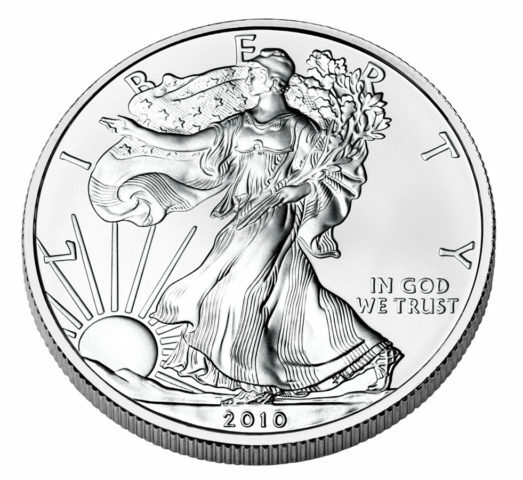 A Walking Liberty half dollar coin contains roughly 0.36169 ounces of pure silver. Doing the math ($17.31 x 0.36169) we’ll see that comes to about $6.26 of silver. 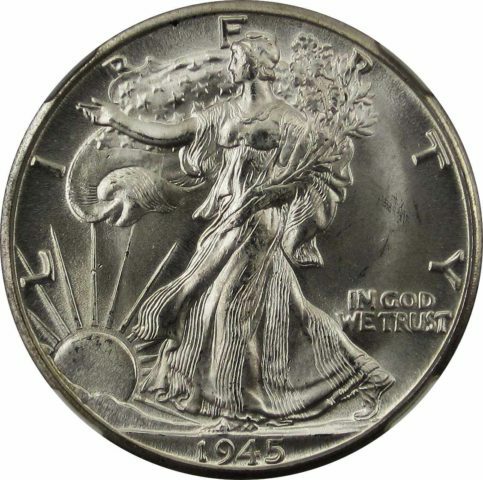 Unless silver prices absolutely tanked (not impossible, but very unlikely), your Walking Liberty half dollar will never be worth “just” 50 cents. 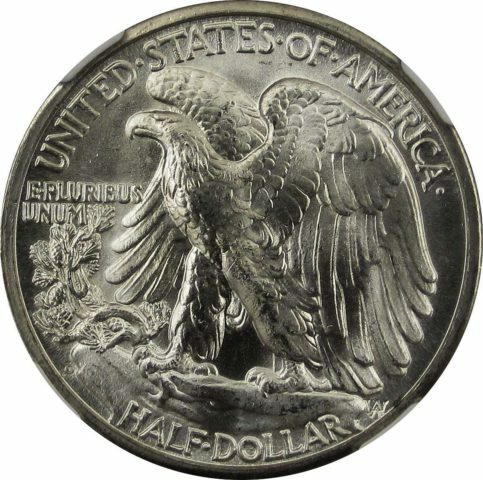 Many Walking Liberty half dollars that are common dates (virtually all made since 1934, with the exception of the 1938-D Walking half — more on that in a minute) are worth only their silver value if they’re well worn. 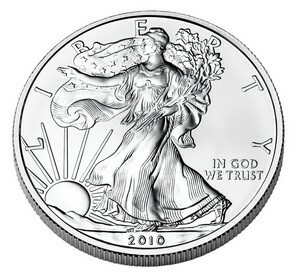 But a Walking Liberty half dollar that’s been well preserved is certainly worth more than just its silver value alone. It has what we coin collectors call a numismatic premium — value due to the scarcity or collector interest in the coin. 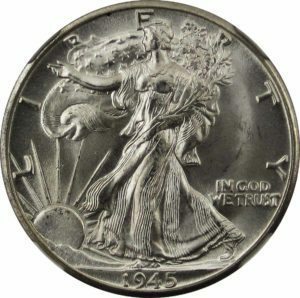 However, with the exception of rare Walking Liberty half dollars, most of the post-1933 Walking halves are only worth a significant amount of money above silver spot value if they have very little wear or no wear at all. *Values are for Walking Liberty halves that exhibit average to little wear and have not been cleaned, have holes, or show other signs of damage. And no… I didn’t accidentally omit a 1922 Walking Liberty half dollar from the list above. There weren’t any half dollars made that year — or during a few other years in the 1920s and 1930s, either. Are Walking Liberty Half Dollars Rare? Yes and no… Yes, some Walking Liberty half dollars are rare. But no, they are not rare in general. In fact, most of the Walking Liberty half dollar coins you’re likely to find are quite common in the absolute sense. Sure, you’ll probably never stumble upon a Walking Liberty half dollar in pocket change. And they’re challenging for half dollar roll searchers to find, too. Millions of Walking Liberty halves still exist — it’s just that virtually all of them are now in the possession of coin collectors, silver bullion investors, and those who have inherited them from loved ones. It may surprise you to find out that most Walking Liberty half dollars are not rare at all, except for some examples that are in uncirculated (“mint”) condition. For example, some of the early mintmarked Walking Liberty half dollars are keys to the series and demand substantial premiums, even in worn grades. There are a few select dates that hobbyists consider rare and a good half dozen or so that are regarded as semi-key (or just scarce) issues. *Values listed above are retail values for problem-free coins in Good or better condition. Coins that have been cleaned, contain holes, are otherwise damaged, or grade lower than Good will be worth considerably less than the prices listed above. In general, common-date Walking Liberty half dollars that are well worn are largely considered junk silver. 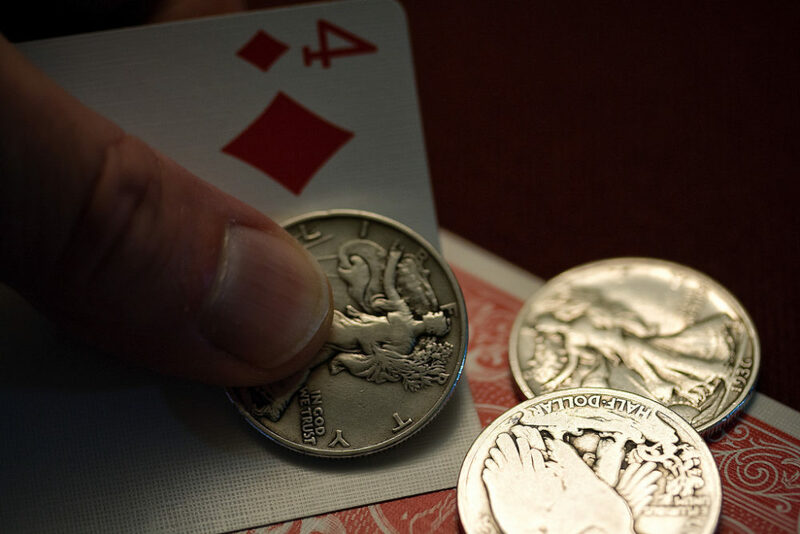 While there’s nothing junky about Walking Liberty half dollars, the common pieces that are very worn have more of a market for their silver than for their collectibility — though many coin collectors do assemble low-grade sets of Walking Liberty half dollars. The value of these common and well-worn Walking Liberty half dollars rises and falls with the prevailing silver market. The values of Walking Liberty half dollars in high grades is more dependent on the numismatic market. Any Walking Liberty half dollar in the grades of XF to AU shows off much of the detailed beauty of the design and is worthy hanging onto. Such pieces retail for $12 to $20, even for common dates, and look great in any coin collection. Uncirculated Walking Liberty half dollars are exquisite coins to own and can be had for as little as $30. However, be warned that if you’re trying to assemble a complete collection of Walking Liberty half dollars in uncirculated grades, you’re in for a long ride — many of the early dates are extremely hard to find in desirable uncirculated grades. You’ll notice in the values listed above that there’s an obverse mint mark one some Walking Liberty half dollars, and there’s a reverse mint mark on other Walking Liberty half dollars. Wondering how to tell an obverse mintmark from a reverse mintmark Walking Liberty coin? Obverse mintmarks (“D” for Denver or “S” for San Francisco) appear under IN GOD WE TRUST. Reverse mintmarks are found to the upper left of the “H” in HALF DOLLAR, near the lower-left rim. No mintmark? Your coin was made at the Philadelphia Mint.